The message begins in a typically condescending manner. 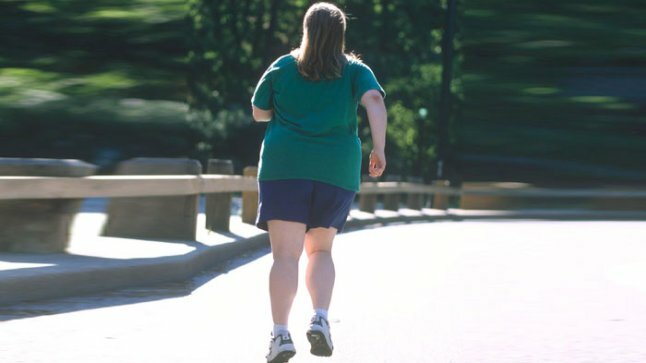 It accuses the overweight runner of “footslogging in the wrong direction”, calls them out for wanting to “stop twice a lap” and points out the “sweat” that “drenches” their body. 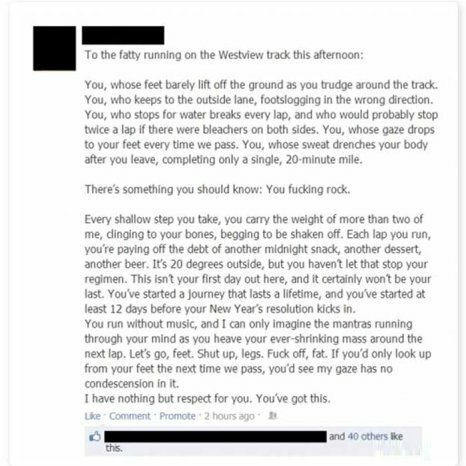 “Each lap you run, you’re paying off the debt of another midnight snack, another desser, another beer..
We have to admit that, after reading that, we’re suddenly feeling a LOT more inclined to lace up our running shoes and give pounding those pavements a go!